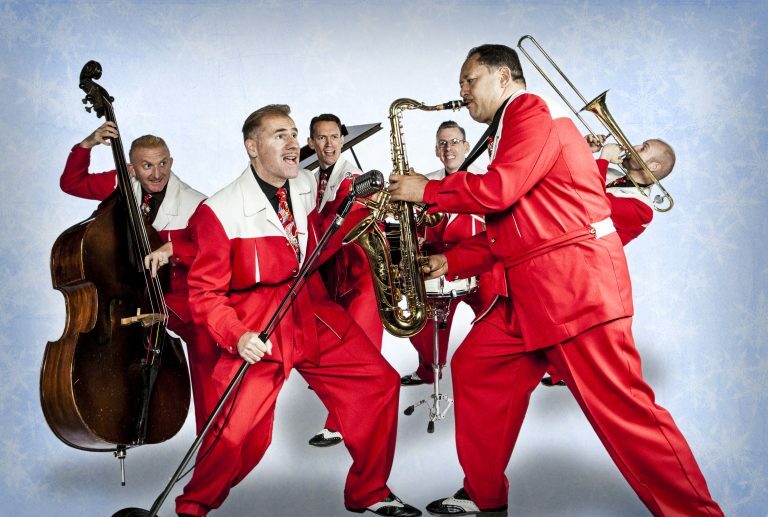 CLEARWATER, Fla. - Dec. 13, 2018 - PRLog -- On December 16th, the United Kingdom's Jive Aces will bring holiday cheer to Downtown Clearwater's Winter Wonderland with a concert performance for all to enjoy. There is no cost to attend. Winter Wonderland is located on the corner of Drew Street and N. Fort Harrison Avenue, in downtown Clearwater and is sponsored by the Clearwater Community Volunteers (CCV) and the Church of Scientology Flag Service Organization. The Jive Aces are a 6-piece swing band, formed in the UK in 1989. They have performed in over 30 countries and have been recognized as one of the top swing bands in the world. In 2012, they were finalists of Britain's Got Talent and have received many accolades and awards for their music. The Jive Aces' performance is in addition to the usual Winter Wonderland activities that include: decorating cookie with Mrs. Claus, visiting with Santa and his elves, petting baby animals, riding ponies and the Winter Wonderland train, sliding down the 20-foot slide, jumping in Winter Wonderland's bouncy house and spinning on the human gyroscope. "We love it when the Jive Aces come to Winter Wonderland," said Clemence Chevrot, Director of the Clearwater Community Volunteers Center. "When they performed last year, the over 1,000 guests were swinging and jiving." Winter Wonderland will be open every day from 6:00pm to 9:00pm through December 22nd, except on Mondays and Tuesdays. Though admission is free, there is a small charge for some activities and the food items in the Hot Chocolate Shop.